Let's try this again... I attempted to write this last night but apparently my internet hates me. Figures. We're at it again, another style challenge is underway! 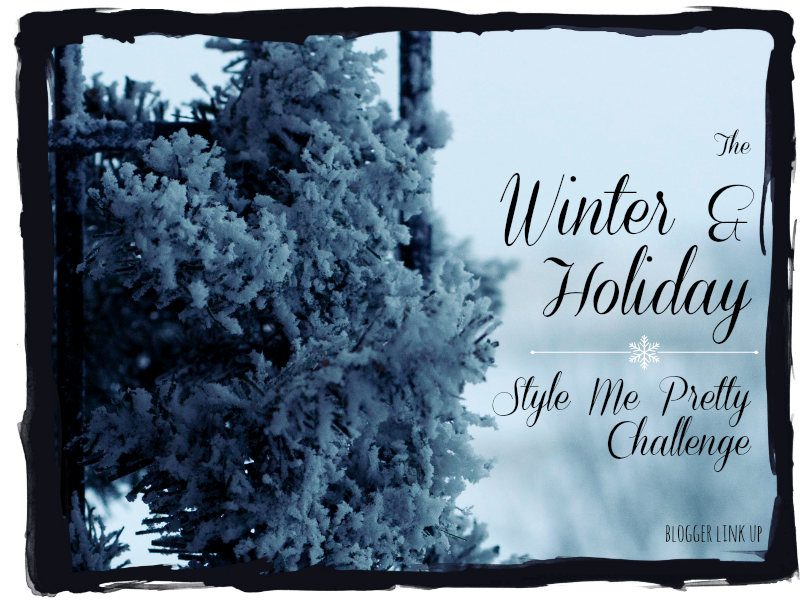 The Winter Style Challenge is up and running and we all started receiving our daily outfits on Sunday night (woohoo). As you know from my incessant complaining, everyone in our house (including yours truly) hasn't been well this season (ew) so having someone dress me every day is a serious time and energy saver. Right now, the less I have to use my brain in the morning, the better. It's early in the challenge, so you're only going to see the first two outfits (and my little photo-bomber) BUT stay tuned in the new few weeks they'll be LOTS more to inspire your winter wardrobes!!! I'm still loving my fuzzy leopard scarf. I'm technically supposed to be wearing a fur scarf but have yet to purchase one. EDIT: this entry was originally titled "what I work" which is now forever embedded in the link for the post. I need a nap and to edit prior to posting. The wainscoting (sp?) in your house looks amazing. I want to come over for some wine. we can thank the talented Mr. B for that!! My idea, his work :) to be fair, I helped paint it! Yes! I love following these! Plus, I need some new winter shoe inspiration. I can't wear riding boots and booties all winter long. I'd love a get together! Both of these layered looks are adorable! I love the dress with vest and scarf! Your daughter is super cute! thanks Jill, I'm all about the layers! I always love your scarves! 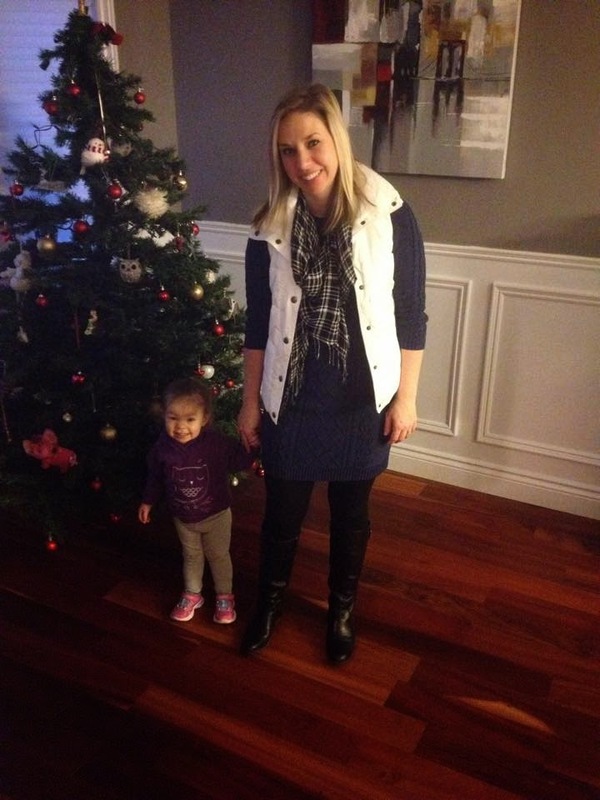 Love your take on the outfits - and your mini me is SO cute! she's a keeper (most days). Very cute! Love all the layers, and of course the photo bomber. I love your first outfit! Hope you guys are feeling better soon! Looking good! Love the fuzzy leopard too. Have had a hard time finding a faux fur scarf in El Paso. Did spot one at TJMaxx but it was $99!! What a sweet girl, wanting to be in your photos! A future diva! ha! 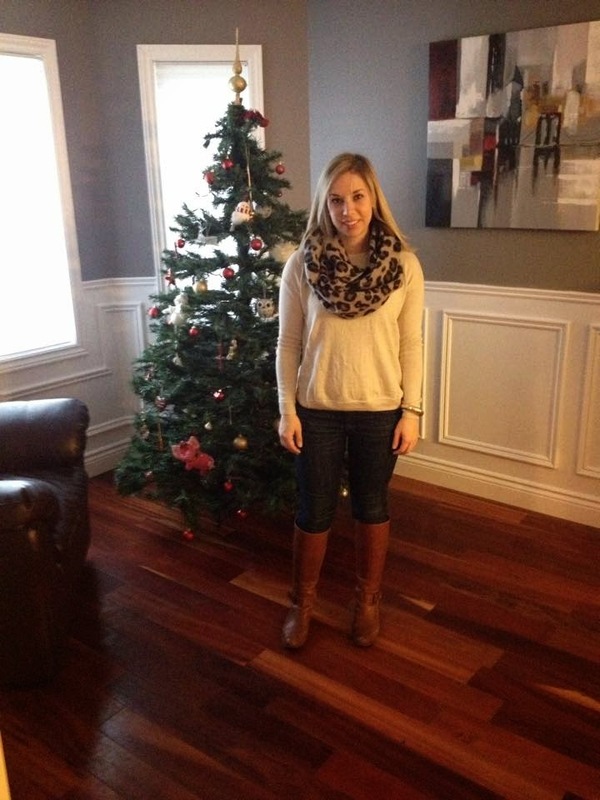 I love both of these outfits and your house is beautiful!